There actually still is bullfighting in Lisbon. I must have looked quite astonished when a member of staff at the entrance of the small museum said this to me. I really thought that bullfighting is prohibited these days. Close to our hotel is a round building of red stone with four small towers and a blue-green roof. I had read that there is a small museum and a shopping centre inside, so we set off late in the afternoon to explore the building. Through a small side door, we came to a passage that once led inside the building. At one point we could take a look inside. It looked like a round venue for concerts. A little further I discovered the entrance to the museum. Since I wanted to take a look at the interior, I asked the staff if this was possible somewhere. 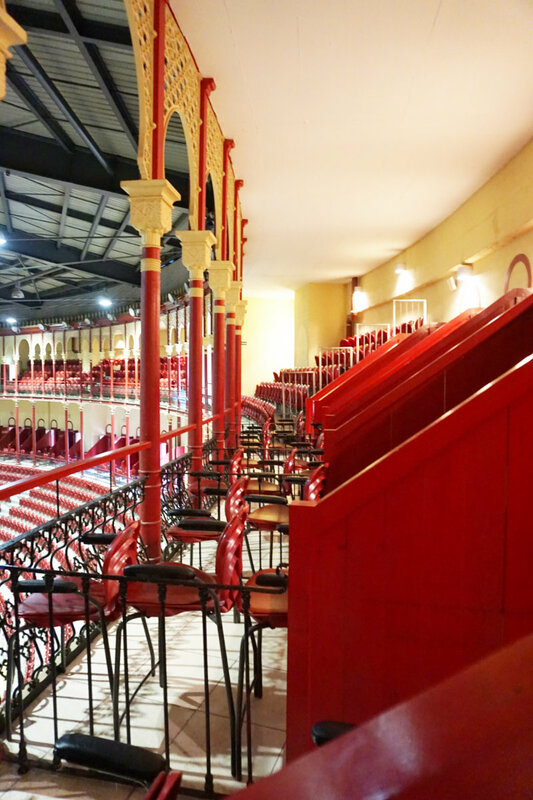 A friendly nod and the explanation that the ticket to the Bullfighting Museum also includes a view from the upper gallery into the bullfighting arena Lisbon. And I admit, I was stunned and asked cautiously whether there are still bullfights in Lisbon. And indeed; bullfighting season is from Easter to October. Since 1892 battles have been shown here. In Portugal, the “fight” is carried out from the back of horses. Horsemen ram arrows with barb in the shoulder area of the bull. 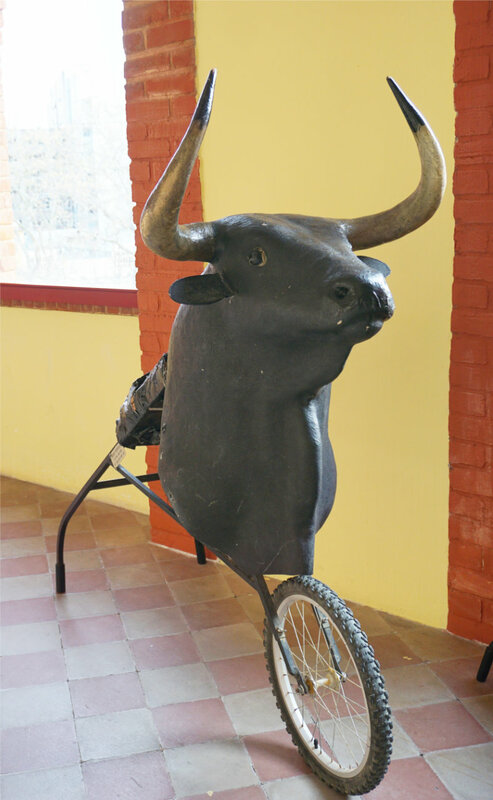 Subsequently, a group of 8 men without arms faces the bull. Standing in a row, the first “fighter” provokes the bull with gestures and shouts. When the bull rushes towards him, he jumps to his head and grabs him by the horns. Six more men then also catch hold of the bull and try to jump onto its head. Another “fighter” grabs the bull's tail. This is how they try to stop the bull. After the “battle”, the bull is either left alive for breeding or slaughtered. I was glad we missed bullfighting season Lisbon. The idea that animals have to suffer here is very frightening. 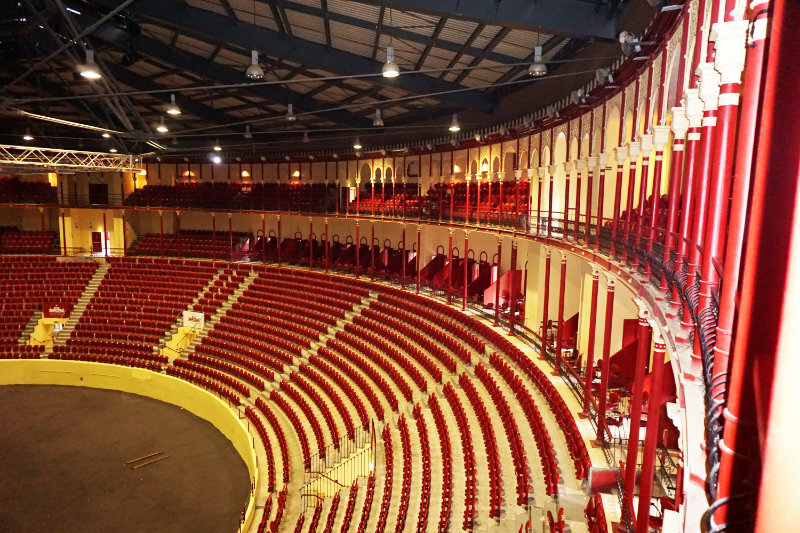 Even more uncomfortable was the thought that when the arena was refurbished in 2001-2006, the lower floor was turned into a shopping centre, equipped with a multiplex cinema, which operates normally even during bullfighting season. I personally like the alternative off-season use of the arena as a concert venue much better. For 3.- € per person we went through the museum. There were some magnificent suits of Toreros to see and many photos of bullfights. Through a small door, we entered the interior of the bullfighting arena Lisbon. 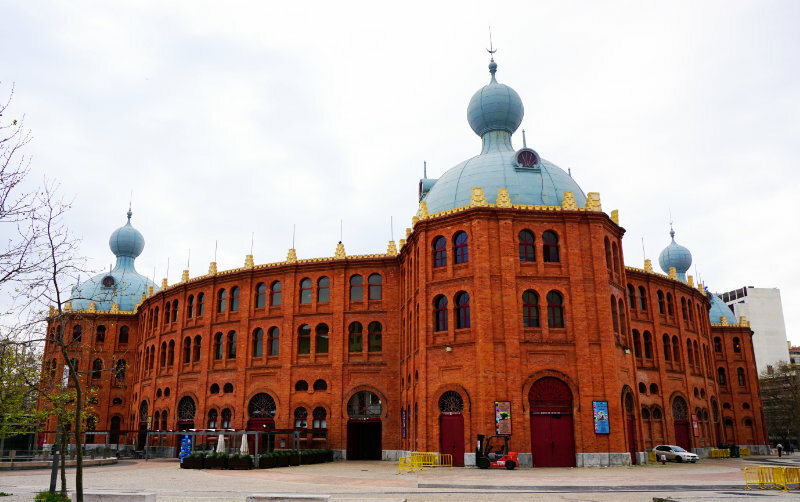 This had just been converted to a concert hall and so we did not associate it with the bullfight. By the way, we were the only visitors and were accompanied by two young women. With great pride, they offered to take our picture next to the training equipment of bullfighters. I believe that pride in the tradition of bullfighting comes first in the minds of many people, way before animal rights.